Businesses, big and small, process large amounts of financial data on a daily basis. From monitoring cash flow and tracking expenditures to preparing taxes and processing payroll, it can be difficult to calculate these data manually. This is why they utilize accounting software solutions. In this article, we take a look at the top 3 accounting software, Freshbooks, Sage 50cloud, and NetSuite ERP. We will give you in-depth explanations as to what these leading platforms can do and how they can be of help to your business. 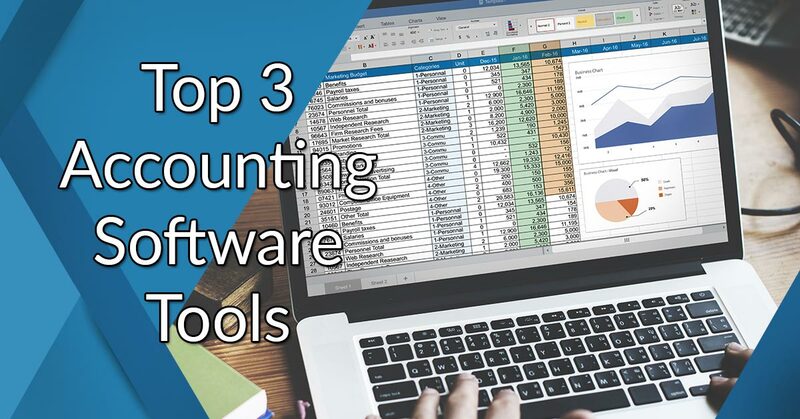 What are the top 3 accounting software solutions? Accounting is a tedious and time-consuming task. From tracking income and monitoring expenses to filing taxes and consolidating financial data, this aspect of your business can eat up a huge chunk of your daily work hours. Manual accounting drains your employees of energy that they may reserve for more attention-demanding responsibilities. To simplify and accelerate these processes, it is imperative that you invest in accounting tools. Accounting software solutions give you access to tools that can automate bookkeeping, expense management, income tracking, and even payroll management. There are even those with ERP functions that can handle inventory management, warehouse administration, and collaboration in line with your accounting responsibilities. With this, you can breeze through a number of accounting tasks while reducing the risk of human error. As you can see on the table provided, companies are purchasing accounting software to increase functionality (43%), improve usability (17%), consolidate multiple systems (10%), improve product support (10%), and reduce costs (7%). Moreover, these programs offer a lot of perks for small companies and startups who have limited manpower and limited financial resources to hire an entire accounting team. This is why plenty of businesses have been shifting from the use of spreadsheets to full-fledged accounting solutions over the years. In fact, according to Accounting Software Buyer Trends Report, accounting platforms have become so popular that 37% of businesses surveyed are first-time buyers, while more than 20% require more than the basic accounting features.. If you haven’t invested in one yet and are looking to find a reliable program that can meet your requirements and fall within your budget, then we highly recommend choosing from the top 3 accounting software on the market today: FreshBooks, Sage 50cloud, and NetSuite ERP. These are known for their comprehensive sets of features, easy-to-use navigation, scalable interfaces, and flexible pricing plans. To help you understand which of these is most ideal for your operations, we will provide you with in-depth explanations of their functionalities and benefits. Of course, you shouldn’t limit yourself to these three applications when choosing a platform for your business. There are plenty of other accounting software out there that offer powerful features as well as flexible interfaces. You can start by checking out this list of top 15 accounting software systems. Small businesses owners often have a lot of things on their plate. They meet with clients, oversee projects, and handle administrative duties simultaneously, leaving them little time for financial tasks. If you find that this is the problem you are having at the moment, then, FreshBooks is the accounting software that you need. FreshBooks is an accounting solution offering powerful yet easy-to-use features, making it the ideal platform for small businesses who are using these types of platforms for the first time. For one, it automates income tracking, supports payment reminders, simplifies payroll preparation process, and even offers collaboration tools to streamline the accounting process for small business owners. Moreover, unlike traditional accounting tools, it primarily aims to address your invoicing needs which accounts for almost 90% of a business’ financial tasks. This way, you can cut down the time spent on tracking productive hours, creating billing for projects, as well as making invoices for individual projects. This platform also has a highly scalable interface that can integrate with a number of third-party applications and business systems. So, it makes sense that while It is created for small businesses, this tool is also used by larger companies who are looking for powerful yet easy-to-use features. Another thing that makes FreshBooks great for small businesses is that it is available in flexible and affordable pricing plans that are billed depending on how many active clients you have. These range from $15/month to $50/month and can even be discounted if you choose to have it billed annually. The vendor also provides a free trial plan to let you test out its features before investing in it. You can easily sign up for FreshBooks free trial here. Preparing billing statements for clients can get quite complicated, especially if you handle multiple customers at a time. This is where FreshBooks’ intuitive invoicing tool comes in. With this, you can simplify the creation of sales invoices by filling out the preset fields in the system. In case there are other information you want your sales invoice to contain, you may also customize the fields to your liking. After which, you can program the system to automate calculations once you’ve assigned the unit costs, tax rates, and other additional pricing data. It even supports recurring invoicing and can be used alongside payment processing applications like PayPal and Stripe. On top of automating your invoicing, FreshBooks also allows you to accelerate the entire billing and payment process using its estimates feature. With this tool, you can estimate job costs and start projects with a quote. As you go along with your projects, this will keep tabs of any running expenses that might affect your fee. This way, you no longer have to manually adjust your bill or create a separate document for invoicing. In line with the creation of estimates and invoices, FreshBooks is equipped with a time tracking feature. This can monitor the amount of productive hours, days, weeks, or months that your team is spending on projects. With this, you can quickly and accurately compute how much to bill clients as you finish projects and automatically insert the information in your invoices for transparency. Paying vendors and receiving payments from clients is also made easier using the payment processing capability of FreshBooks. Using this, you can program quick deposits to banks, create single-click setups, and even enable credit card processing. Moreover, this module links directly to your bank account so that any transactions are automatically logged in your dashboard. Getting a good grasp of where your money is coming from and what you are spending it on is undoubtedly a crucial part of accounting. Using Freshbooks’ contacts and items feature, you can do this more easily. With the contacts tool, you can monitor logged hours, emails sent, account statements, invoices, and other data of your active clients, making it easier to manage cash flow. On the other hand, the items tool is used for tracking data regarding your products and services. These include cost, description, quantity, and taxes. Hand in hand with the inventory management capability of this platform, you can automatically track your stock levels so it is easier to schedule when to order new supplies. FreshBooks also has a dedicated expense management feature on top of its contacts and items tools. This allows users to track and record important details of each expenditure such as the date of purchase, vendor, product category, and sales tax for record keeping. You may even choose to link this feature directly to your bank or credit card account so that transactions are automatically updated. Moreover, this tool allows you to view tax-deductible expenses for easier filing later on. In order to help you get a better idea of your profits and losses as well as their impact to your business in the long-run, you will need to use analytics solutions. With FreshBooks’ custom reporting tool, you can crunch numbers in just a few clicks of a button to see your data at a glance. These may be in the form of profit-loss statements, expense reports, or sales tax summaries. The modern business landscape is fast-paced. To help you keep up, FreshBooks has a mobile-ready interface that allows users to access their books on any device whenever they want, wherever they are. With this, you can process invoices on-the-go, track expenses in-transit, and stay in-the-loop regarding your financial activities. For your convenience, this data is synced across all the devices connected to your FreshBooks account. Finding an accounting system that can provide you with all the functions you need for specific operational requirements is nearly impossible. This is why FreshBooks has an open API function that allows users to extend the solution’s capabilities. With this, you can connect your FreshBooks platform to a wide range of third-party applications, widgets, and programs for a more personalized user experience. These integrations include help desk systems, eCommerce platforms, payment gateways, and even project management solutions. Unlike small businesses, medium-sized companies and large enterprises deal with more complex accounting tasks. For this, they would require a more extensive and stronger set of tools. Meaning, the program needs to have a high degree of customizability while maintaining a streamlined interface that makes it easy to organize. One perfect example of a software that offers this is Sage 50cloud. Sage 50cloud is a hybrid accounting solution that offers an on-premise interface with a cloud component for data access and storage. Much like other traditional accounting software, this offers tools that tackle bookkeeping, tax preparation, and payroll processing. However, what makes it different from its competitors is that it focuses less on automations and more on data consolidation, processing, and reporting. This is to allow users to have more control over their cash flow as well as get a clearer view of their finances. In addition to that, it is created to cater to the needs of entrepreneurs and professionals who have strong accounting backgrounds so you can expect more advanced functionalities. Suffice it to say, small companies and freelancers who have no prior experience using accounting software will find it difficult to work with Sage 50cloud’s cutting-edge UI. For pricing, the vendor offers three enterprise plans that are bundled depending on the number of features you need for your operations. These cost anywhere between $44.97/month and $175.87/month. The vendor also offers a free trial to allow you to get a better feel of the features of the platform so you can determine if it is the right fit for your company. You may sign up for a Sage 50cloud free trial here. Sage 50cloud has an activity dashboard that lets you get a bird’s eye view of all of your accounting activities. With this, you can view concise summaries of expenses, income, and revenue without having to jump from one window to another. This dashboard also serves as a command center where you can control billing and invoicing tasks as well as get notifications about payments, tax filings and the like. Another great thing about Sage 50cloud’s dashboard is that it is device-agnostic. Because of this, users may access it from any device that they have on hand so long as they have internet. One of the most time-consuming parts of managing a business is having to prepare payroll. This involves checking their attendance, computing their salaries, allowances, and other benefits, and manually inputting these information from your HR software to your payroll software. With Sage 50cloud’s built-in payroll processing feature, you can accelerate this task. All you have to do is import the information you need for payroll processing and have the software run the numbers for you. After which, all this data will be reflected on your expense reports for recordkeeping, so you don’t have to import it again. Preparing taxes can be quite challenging, especially because tax regulations change constantly. To help you keep up, this platform has an automatic tax computation tool complete with the forms needed for filing. With this, you no longer have to worry about preparing individual income tax returns and company taxes manually, saving you a lot of time and energy. This allows you to determine job costs and estimates in line with your company’s budget. By utilizing this feature, you can get a good idea of how much money your company will spend on a particular project before you even start it. Moreover, this will help you keep your expenditures in check when you pursue new business ventures. Sage 50cloud may be merged with Sage Payment Solutions, Paya, Stripe, PayPal, and other payment gateways. This way, you can accept and make payments from anywhere in a secure and compliant interface. It can even be linked to bank accounts to automatically get records of receipts and sales in real-time. You can also schedule supplier payments so you won’t overlook any deadlines. Aside from processing payments, this software also offers tools that let you track purchases, bills, and similar transactions. All you have to do is link it to your bank account and allow it to monitor and record each transaction you make. This way, you don’t have to manually input these transactions into your accounting program. It is important that you know your spending habits as well as be able to understand the impact of market trends on your income and expenditures. By doing so, you can gauge your progress, spot instances of financial trouble. This is where Sage 50cloud’s trend analysis feature comes in. This business intelligence capability will help you consolidate and make sense of your financial data with ease. You may even customize the data visualization according to your preferences. Much like other fully integrated accounting platforms, Sage 50cloud also offers an inventory management add-on. Using this module, users can update stock levels automatically as well as leverage audits to manage their assets. With this, it is easier to plan when you should restock your inventory and adjust supply levels depending on your budget. Another thing that makes Sage 50cloud stand out from its competitors is its built-in collaboration tools. With this, you can easily communicate with internal or external accountants and bookkeepers. It also has email integration so you can share transaction histories, financial statements, and other reports with your accounting department without having to exit the platform. Large enterprises serve hundreds to thousands of customers on a daily basis. Moreover, they have sizable incomes that are difficult to compute manually. If you find yourself in this situation, then, you might want to rethink getting basic accounting tools and start considering multi-functional software. A good product to start with is NetSuite ERP. NetSuite ERP is a scalable cloud enterprise resource planning solution. It is well-suited for large businesses because it can handle multiple financial business processes that go beyond accounting. Whether you require comprehensive business intelligence or powerful warehouse administration, this can easily provide you with the tools you need. Moreover, it has highly customizable permission options that make it great for companies with multiple administrators and extensive organizational hierarchies. To top it all off, NetSuite ERP gives its users the freedom to develop their own widgets and add-ons as well as configure existing features. By doing so, you can address all your business-specific requirements with ease. For pricing, the vendor only offers quote-based plans. This ensures that you are given a customized plan according to the specific sets of modules, user capacity, and add-ons that you will need for your operations. Should you feel like you need to learn more about this product before investing in it, NetSuite ERP also offers free demonstrations of their platform. You can sign up for a NetSuite ERP free demo here. NetSuite ERP offers top enterprise resource planning tools. This allows users to not only handle financial management tasks but also manage a wide range of other operational responsibilities. These include fixed asset management, payment management, vendor management, manufacturing management,demand planning, inventory control, warehouse management, and billing and invoicing. The success of your manufacturing operations relies heavily on effective budgeting. This is why NetSuite ERP offers robust manufacturing management features with tools for product costing, material billing, resource planning, and floor management. With this, you can quickly and accurately compute how much money you should be spending on supplies, labor, and other factors involved in creating your products. Another feature that NetSuite ERP has to offer is its comprehensive fixed asset management. This module contains functions that allow you to perform workflow management, depreciation management, and integrated financial reporting. By utilizing this, you can track fixed assets better, perform a more streamlined preventive maintenance, and get an accurate estimation of depreciation statuses. Aside from having a fully integrated interface, NetSuite ERP also centralizes all of your order management tasks. From accommodating new order requests to creating invoices to shipping orders, this platform can do it all. Moreover, the module integrates with shipping carriers such as FedEx and UPS, making it simpler to manage and record shipping costs.  Similar to the other products mentioned on this list, NetSuite ERP offers best-in-class billing and invoicing capabilities. Be it for payroll, shipping, incentive compensations, recurring revenues, or other transactions, this software can create the invoices that you need as well as manage the payments automatically. You may even schedule bill payments in advance to ensure that you are meeting deadlines. If your company is in the retail industry, NetSuite ERP has a unique feature that you might find handy for your operations. It has a warehouse administration tool that lets you get a complete view of your stock levels. Aside from having inventory management tools that let you calculate the worth of your assets, it also has inbound and outbound logistics features that allow users to monitor the cost of transport and storage of your goods. NetSuite ERP also has a human capital management module. This feature allows you to measure the competencies of your workforce and learn how you can boost their future value by investing in them. With this, you can scale up your growing and diverse employees so that they may further contribute to your operations. Making data-driven decisions is a crucial part of today’s business landscape. Using the business intelligence tools that NetSuite ERP has to offer, you can easily turn numerical data into visual analytics, making it simple to get in-depth insights regarding your operations. With this, you can monitor the overall financial health of your business in real-time and even get custom data summaries and reports based on particular aspects of your operations. To reinforce its business intelligence feature, NetSuite ERP also provides its users with highly configurable dashboards. These offer different screen layouts that allow administrators and business owners to see the data that they need at a glance. Even employees can create personal dashboards if permitted by administrators. This will help them analyze and report the system data, track key performance indicators, and evaluate their individual performance. Moreover, these serve as hubs where they can check deadlines, manage calls, and schedule meetings. Just like in any investment, picking an accounting software should not be taken lightly. You need to find products from reputable providers like Freshbooks, Sage 50cloud, and NetSuite ERP. More importantly, you should do your research and gauge the pros and cons of each platform you have your eye on. Also, keep in mind that before choosing an accounting software, you should determine how well its features can cater to your operational needs. If you want to start testing various solutions we recommend to give Freshbooks a try first. They offer a great free trial plan that lets you try out all the key features. You can easily sign up for Freshbooks free trial here. Hopefully with our guide, you were able to narrow down your options or at least have an idea of what quality accounting platforms should be able to provide you with. To further understand what you’ll need for your business, you can start by checking our article on what accountants look for in accounting solutions. This should give you a concise explanation on the types of features that you will need in order to tackle your accounting tasks.